HOME>>Resource Center>>Blog>>Can You List Property in Trust with an Uncooperative Co-owner? There are benefits of putting a property in trust, but sometimes it can complicate matters—especially when trustees don’t agree. Have you ever had a court assigned listing for a parcel in trust? When all the parties work together, it can be a smooth process. But what happens when one of the trustees doesn’t cooperate? Can you list the parcel? That’s what a CRES Errors and Omissions insurance client wanted to know recently. She had received an assignment from the court to list a parcel that is in trust. The ex-wife and daughter are both trustees. Both trustees needed to sign documents for the listing and sale. To further complicate matters, the ex-wife lives in the house. In this case, the daughter was very responsive, and her attorney filed the petition with the court about the sale of the parcel. Unfortunately, the ex-wife, who is the other trustee, wasn’t cooperating. She wouldn’t sign documents and obstructed access to the property. With a court order to list the property and an uncooperative party, our client wasn’t sure what to do. Wisely, she checked with the CRES ClaimPrevent® legal advice team to find out if she could list the parcel—and how she could protect herself if she did. Send all correspondence to the ex-wife by certified mail, return receipt requested, since the ex-wife does not use email. Make copies of all documents sent, and email them to the other trustee as a status report to keep her posted. 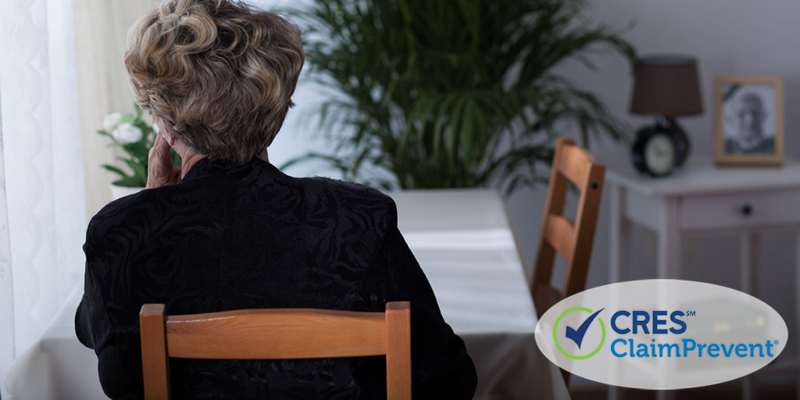 Ask the daughter to have her attorney intervene if the other trustee continues to not cooperate in the listing process. Some motion may have to be filed where a third person per court order will be assigned to sign documents with the ex-wife and provide you access. As is so often the case, documenting the situation carefully in writing is critical. This situation requires additional effort to engage the non-cooperative trustee and perhaps additional legal action. But our client now knows how to proceed. Trusts, or any other time two parties disagree about selling property, can cause complications. Before you proceed in such cases, it’s a good idea to get legal advice. If you are a CRES Real Estate E&O + ClaimPrevent® client, you can contact our legal advice team anytime you have a sticky situation. That’s part of the CRES goal of helping you with potential claim issues and risks before they become lawsuits. Have you ever had an uncooperative trustee in a sale of property in trust? How did the situation resolve?